I have read that you can buy a U.S. ispn or some such thing so that it appears your computer is located in the U.S. – I am a little weary of that approach at the moment. You can also buy otherwise free t.v. shows on iTunes ($49.99 for the new season of “The Big Bang Theory” – gasp!). The only thing better than watching The Daily Show here in Italy is following it up with The Colbert Report!!! Hope, A lot of expats I know buy the US Isp address so that they can watch movies on NetFlix, but I am of a different mind when it comes to living abroad. I do occasionally want to see American movies, and I read the US newspapers online. But for me, I feel it’s important to watch the Italian news, listen to Italian political talk shows and see Italian movies or films dubbed in Italian with no English subtitles. It not only helps me improve my language, but I am immersed in the culture that I have chosen to be a part of. 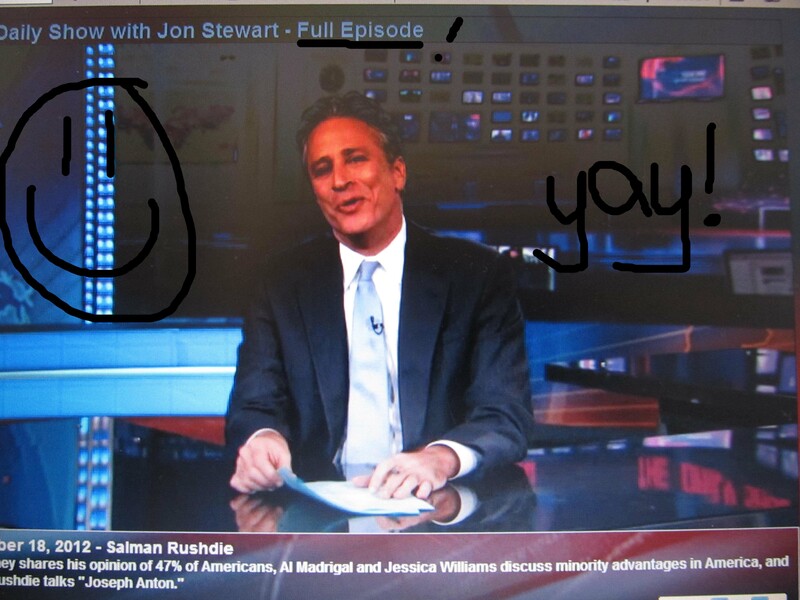 My guilty pleasure, however, IS the Daily Show!! Who could live without Jon?? Thanks for posting! I totally agree – although my Italian is so basic that I like to watch familiar (i.e. U.S.) shows in Italian – it helps me get the language better when I have a basic idea of what’s up.